Villamagic is an executive 5 bedroom villa, sleeping 12 people in spacious, tastefully furnished surroundings, with all the comforts of home. 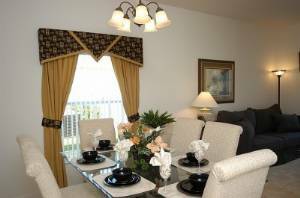 It is situated in the Sanctuary at Westhaven, one of the most sought after locations in the Orlando and Disney area of Florida. The expanse of wetland and conservation area that this property overlooks is something to behold. If you're looking for exclusive luxury in a fantastic location then look no further. 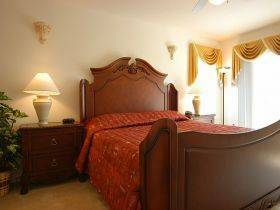 This really is a haven of privacy to come home to, yet it has the advantage of being within a few minutes drive of all the major tourist attractions in central Florida. 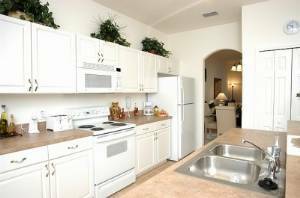 The I-4 makes all attractions easily accessible and it is only 15 minutes to Disney. 1 x Bathroom, 2 x Ensuite, 1 x Separate WC, Towels Supplied. Childs High Chair, stroller, crib & stairgate. PS2 & fully equipped Games Room. absolutely loved the pool and the games room! definitely get in touch again to rebook! We could not fault a single thing about this villa. The location was ideal, we felt very safe. The standard of the furniture & fixtures were of a very high standard and everything was so clean. Plenty of space to loose yourself if you wanted to and the children loved the pool. We would recommend it to anyone, especially families. Thank you for helping to make our family holiday so special. Really enjoyed our stay at Villamagic for two weeks in June 2012 - lovely house, well equipped, very comfortable. Great pool area even in the torrential rain during a gulf storm! Easy access to the Interstate and local shops. We would thoroughly recommend both this property and the location. One word Amazing! Amazing Villa, Amazing Location and simply had an Amazing time during our two week stay at the Villa. 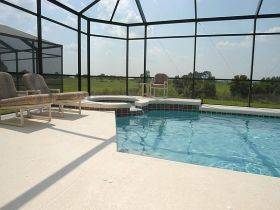 Would recommend to anyone considering the Florida Villa holiday experience book now or risk missing out. What a great villa, I have already recommended it to a friend! We all had a fantabulous time! Thank you! What a wonderful clean villa with everything you could need. Close to parks and grocery shop. We had the best time made better because of sure a lovely place to return to after a busy Disney day. Poll was fantastic, area beautiful and safe...not sure which villa to choose, look no more this is the one. We have just returned from Villa Magic. What wonderful villa. 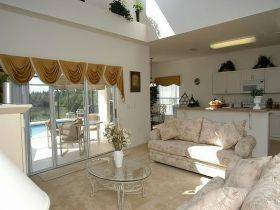 Very clean, spacious, fantastic pool and has everything you need. Close to all the theme parks and in a beautiful gated housing estate. We would highly recommend the villa to anyone. We all had a wonderful time at the villa! Lovely, quiet location, and just around the corner from amenities. The pool and jacuzzi were fantastic, especially after a long and tiring day around the parks! Highly recommended!! Lovely home and a very smooth booking. The villa was excellent and the pool was lovely and clean - a perfect size too. 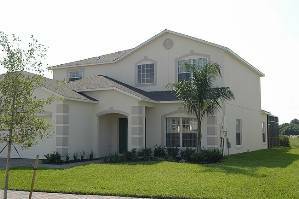 A lovely family villa for an Orlando holiday. The highlight was the superb pool and being able to swim whenever we liked which was a real bonus after a hot and sticky day in the theme parks. The location of the villa is also excellent and we particularly liked taking our breakfast outside on the Lanai overlooking the relative peace and tranquility of the conservation area. With the magic of Disney only a few miles away, our trip proved to be a once in a lifetime experience. Had a lovely holiday, the villa was exceptional! Our granddaughter absolutely loved the pool as we all did. Hope to return as soon as possible. fantastic villa home form home. presented beautifully when we arrived even had towels on all the beds as swans with flowers in.excellent to have the pool and hot tub after very long days in the parks.excellent directions from the airport.at first we all thought on the map that west haven was to far out, how surprised we all were it never took us more than 15minutes to walt disney drive no traffic and no traffic lights like on the 192,the first time we never got lost after six visits to different villas. thank you once again. definelty come back and recommend your villa and site. We had a wonderful time at Villamagic. The pool & spa were fantastic - we would definately recommend this villa to all our friends and family. The balcony in the master suite was superb, we spent many evenings watching the sunset on there. Just back from a fantastic week's stay at this villa. Gorgeous, spacious property with lovely outlook from pool area - perfect for those summer nights having barbecue and cocktails! Would definitely recommend this villa as a base for an excellent Orlando experience. Can't wait to return!! Thank you. Very spacious, modern and clean villa. Had everything everyone needed for a fab holiday. Would recommend to family and friends. Thanks for the use of your villa for our family holiday. It is absolutely beautiful and we all had a wonderful time. We also found the information that you left in the folders very useful. Just a quick note to say " ThankYou" for the use of your Florida home. We could've stayed for-ever, but unfortunatly for us, work and school have now commenced! All 8 of us had a fab holiday, it was a blessing to have such a comfortable home to go back to after long, fun, tiring days at the parks. Hopefully if all goes to plan we will be back. Karen, Adrian, Hannah and Katie Cooper. The villa was great, kids loved the pool, had a wonderful time, definitely recommend to family and friends. I just wanted to mail you and let you know that the holiday was fantastic mainly due to your fantastic villa and it's superb location, we haven't stopped raving about it to friends and family alike. Your info folders in the villa were particularly helpful to us. Many thanks for all your hard work in maintaining your beautiful house - we all loved it, my 4 year old son especially wants to know when we're going back to Florida(mainly the pool)! Hi there, just wanted to drop a line to say what a wonderful holiday we had staying at your beautiful villa. We really had a great time, made all the better by having such a lovely place to come back to at the end of each day. We will be recommending you to all our friends! Thanks once again. Many thanks for letting us rent your villa in Orlando - It truly was magic!!! The villa was everything you said it would be and more, a perfect home from home. We wanted to let you know we had a wonderful time at your villa. Everything was great. We had a great time here! We loved the pool. I especially loved the pool table. It was so much fun! The house fit us perfectly and I slept like a baby!! This was a great vacation and we will be coming back! We did indeed have a magical time at your Villamagic. We had wonderful weather and thoroughly enjoyed your home -- thank you! We had a great time in your villa and I wanted to thank you for that. Everything was just perfect in your villa. If we go back to Orlando, we know where to go. What a lovely villa. Enjoyed our stay with all the comforts of home. Easy location for all places of interest. Will be back!!! Villamagic was perfect for us with more than enough space for 2 families. 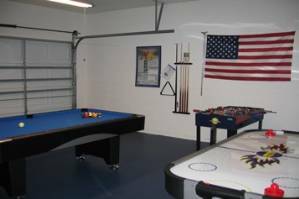 The games room and pool where a huge hit with us all. Villa magic is perfect for families `doing Disney` and all the other attractions and not having to go near International drive was fantastic just peace and quiet perfect! Many thanks for letting us use your villa and we will be recommending you to our friends who are going in the future and we hope to return ourselves......once the credit cards are paid off! The villa is beautiful, spacious, comfortable & had everything we needed.We had a wonderful time during our stay. The children loved the pool & the games room. I would have no hesitation in recommending Villamagic to any one. WHEN we come back, we would certainly book with you again. We had a great time at your villa it is fabulous. I can't think of anything that needs adding to it. If we need a 5 bed again I will definitely be in touch. We enjoyed your lovely villa. It was everything we thought it would be & more. The kids really loved the pool. I loved my stay here & will use it again next year. Thoroughly enjoyed our theme park fortnight! Nice to have the peace & quiet of a lovely house to come back to!! Really enjoyed our time at the villa. Lots of room to chill after busy days at the parks. We had the swimming pool heated, which let us enjoy the pool day & night. The children enjoyed the Games Room & Pool. Nice quiet location which gave us relaxing times. Good location for the parks. The internet was great to keep in touch with family & friends at home. We had a fantastic holiday & were all sad to be leaving, even after 3 weeks.All in all a fantastic holiday in a superb villa. After being around crowds of people at the various parks, it was nice to hang out at the house & pool for some quiet time. Our stay was just what we were looking for & we will certainly keep Villamagic at the top of our list when we return to the area. We loved the house! The kids loved the pool, they didn't want to get out. The house was very clean & was 1st class! We can't wait to come back. As this was personally my first trip to America with my 3 children we weren't sure really what to expect. We needn't have worried as everything more than exceeded our expectations! We shared Villamagic with our extended family & everyone agrees that the villa is absolutely '1st Class'. The Games Room proved very popular with several tournaments taking place. Pool & pool area marvellous. We'd definitely love to come back & base another holiday from Villamagic. Shared home with 2 other families - lots of room & fun! Kids loved the pool. We'd come back again! We were so pleased to find the house exactly as described - even better. The proximity to attractions & ammenities such as the pool, play room & internet made even staying in a real treat in the warm weather. We look forward to returning. Our 21 month old & 5 year old loved the pool - thanks for covering all the small details. We left only to get the groceries & souveniers. We spent almost every waking moment in the pool, the spa or the lanai. We had a fantastic vacation at Villamagic. A beautiful vacation & lovely home. My family & I had a perfect vaction! This was a wonderful vacation! Our children loved the pool, the weather was wonderful & the house was perfect. I would not hesitate to recommend this home to anyone. Plus it was close enough to Disney to make frequent trips. Again a perfect vacation. Our kids thought the best ever! Other Fees: Prices include all Local Taxes, Sales tax & Tourist tax.